Une escapade de pays avec toutes les commodités de la ville! Un chalet spacieux dans la ville de marché historique de Llanrwst, à 4 miles de Betws-y-Coed. Bridge Cottage est une escapade de pays avec toutes les commodités de la ville. Promenades, VTT et une aire de jeux pour enfants à proximité. Fantastiques restaurants, pubs, salons de thé, des boutiques et des plats à emporter à quelques minutes à pied. Le chalet dispose d'une grande cuisine bien équipée avec micro-ondes, lave-vaisselle et lave-linge, grande salle à manger et un salon avec des livres, des jeux et des DVD. Wifi. Un petit jardin patio avec un barbecue conduit à une zone de terrasses soulevé avec table et chaises pour boire en plein air et salle à manger. Trois chambres joliment meublées: double, twin (un simple et un petit lit double), simples. Les chambres avant sont à double vitrage (simple et twin). Lit et chaise bébé disponibles. Grande salle de bain avec douche chaude dans la baignoire. Strictement pas d'animaux. Grande salle de bain avec douche chaude fantastique dans la baignoire. Notes sur l'hébergement: Enfants bienvenus. Pas d'animaux. Interdiction de fumer dans le chalet. Parking disponible à proximité. Dehors: Petit clos patio et terrasse jardin avec barbecue, table et chaises. Service de nettoyage / serviettes / / Femme de ménage: Linge de lit inclus. S'il vous plaît apporter des serviettes de plage si vous avez l'intention d'aller à la plage. literie de bébé pas inclus. This flat offers a good place to stay in north Wales, particularly if your exploring Snowdonia. It is very roomy and offers good basic accommodations. The beds are OK. Bring your own supplies although the kitchen is well stocked with cooking utensils, plates, cutlery, etc. There is a convenient grocery across the street, several coffee shops, and a great Bangladeshi restaurant a short walk away, as well as a friendly pub nearby. Good to hear that you enjoyed staying in the cottage, and that you found the local shops, pubs and restaurants convenient. Cottage has everything you need, very spacious and very close to all amenities. Beautiful village, the the children had an adventure along the river walk when they found what they thought was an entrance into a secret world. Lovely playground over the bridge where they collected plenty of conkers.The church is worth a visit, the vicar came and spoke to us whilst we were there and she was lovely. Good to hear that you had a lovely time. We love walking along by the river, and exploring. We look forward to welcoming you to Llanrwst again! Thank you for the feedback. Glad you had a lovely stay. We enjoyed our stay. The house was spacious and comfortable. However, it seemed to us that quite a few things have reached or are approaching 'end of life' e.g. sheets, tea towels, utensils, DVD player, kitchen counter top (peeling up at front) and there is quite a bit of damp in the kitchen cupboards. Also, the shower worked well but it's nigh on impossible to switch bewtween bath and shower (we needed to with children). We also regretted the lack of parking as it's a pain to have to walk to the car. Also, please make contact with the owner before you stay as we didn't and arrived to find the house all locked up. Both the owner and the cleaner had forgotten about our booking which meant that we had to wait about an hour and a half while someone turned up to change sheets etc. We make no money from the cottage and would love to replace the items you mentioned. We will endeavour to do so as soon as possible. Many reviews we have had indicate that the cottage is good value for money in it's present condition. The damp in the kitchen was due to a leak from the bathroom earlier this summer which was fixed. The damp areas have been treated and the kitchen redecorated, so this is no longer an issue. The cottage is advertised as not having parking, and even with our young children we have not found a few minutes walk to the car a problem. In 10 years of doing holiday lets, this was the first time that the cottage was not ready for guests. It was regretful and I am sure will not happen again. great location. 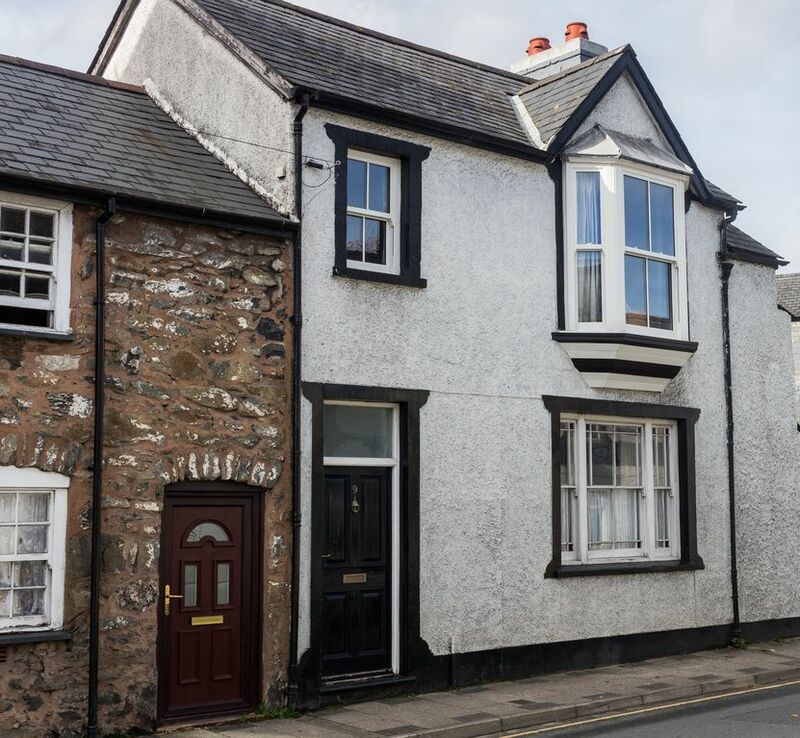 comfortable cottage for family of 5. close to many action packed activities in North Wales. We had an amazing week and the cottage was a spacious place in which to relax in between activities. Lovely stay. Plenty of space. Everything needed was there. Other reviews have mentioned a problem with the shower. We found no such problem. Good Wi-Fi, central heating is spot on. Close to the shops and 15 minutes from Snowdon. Will book there again next year. 20 minutes en voiture à l'autre. Gare de Llanrwst est à 10 minutes à pied de la maison. Aire de jeux 5 procès-verbal de enfants à pied. Promenade de la rivière commence à 2 minutes Château walGwydir est à environ 15 minutes à pied de la maison. La propriété du National Trust locale est le spectaculaire Bodnant Gardens, à environ 10 minutes en voiture. Betws-y-Coed est de 4 miles sur la route avec un bureau d'information touristique, des cafés, des boutiques, des pubs et des attractions locales comme Swallow Falls et Fairy Glen à proximité. Snowdonia National Park offre un large éventail d'activités, notamment la marche, le poney, sports nautiques, et le parapente. Booking Notes: Please contact owner. Changeover Day: Saturday at peak times, otherwise to suit guests. Notes on prices: Please enquire for short breaks as we can be flexible on price for your stay.